Good set of teeth. Candidates with braces/retainers will not be considered throughout the screening process. 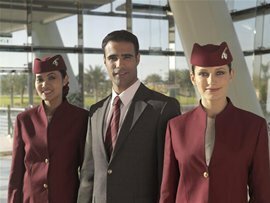 Candidates who pass the screening will be notified via telephone to be included in QATAR AIRWAYS Cabin Crew Assessment on December 4 - 5, 2011.